Connie's World Adventure! 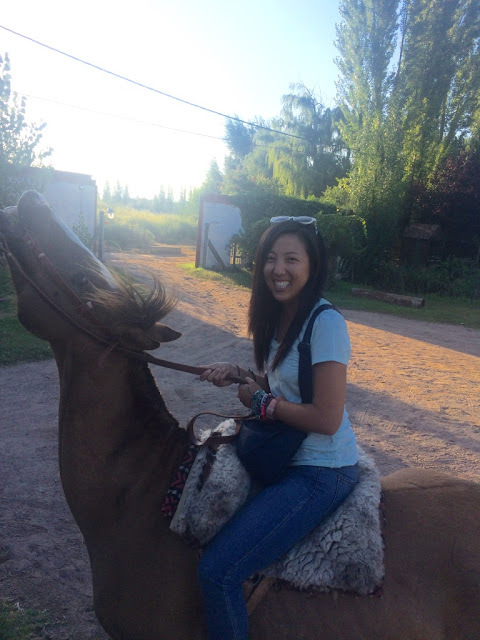 : Mendoza, Argentina: It's Wine Time Again! After Stellenbosch in South Africa, I wasn't sure anywhere could ever beat the world's prettiest, cheapest, best wine region ever (awarded by me). Mendoza is Argentina's wine region, and I stopped through because it's a good stop on the way to Santiago, Chile. 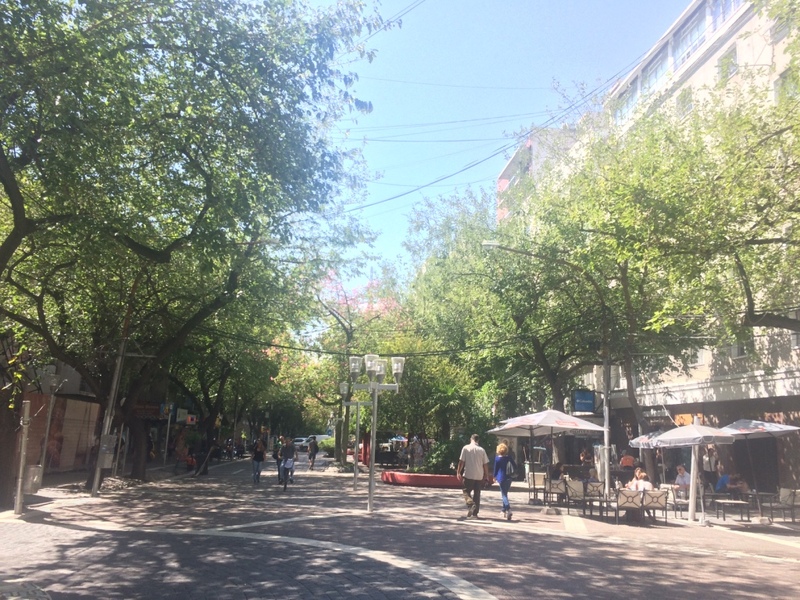 It's an incredibly popular city to visit, so another 19.5 hour bus ride later from Bariloche, I was in Mendoza! I treated myself to the fancier seats on the bus ride this time, which are $20 more but include meals, and the seats are leather and recline a lot farther. And they played super recent bootleg movies! Except the bus man promptly turned the volume off and only left the Spanish subtitles. Also, the man next to me kept tapping me to get out into the aisle, and the bus employee kept tapping me awake to serve me food, neither of which were pleasant in the middle of the night. Overall, the experience wasn't too bad, but next time I'm saving the $20 and just getting the regular recline-y seats. I can apparently sleep like a rock regardless of what bus class I'm in. Also, I've officially left Patagonia. Cries. 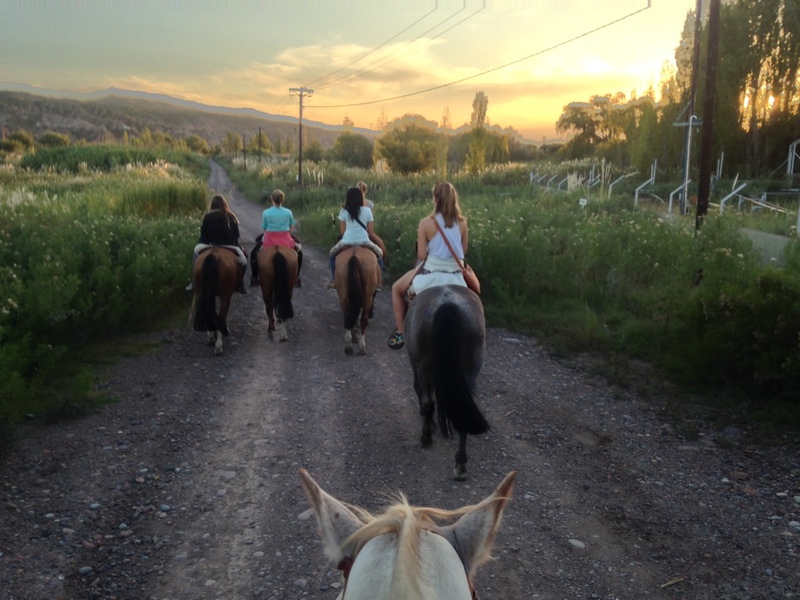 Mendoza is better known as Argentinian wine country. Located very west of Buenos Aires (I've made it back up from my foray to the super, super south of Argentina), it's also very close to the Chilean border. 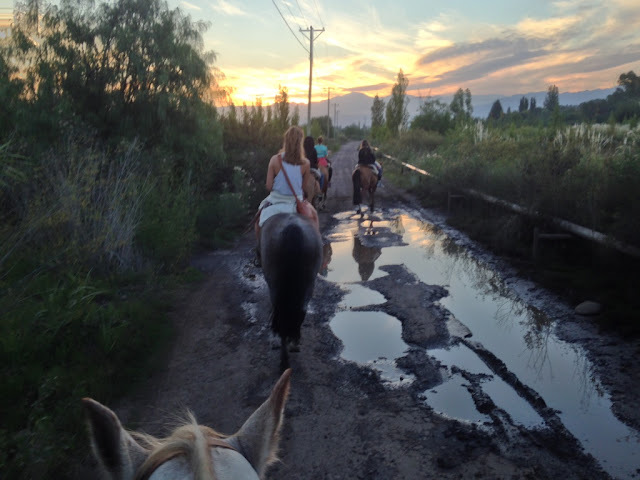 There's three main wine regions in Mendoza, which are all pretty outside of the main city (a car really helps here!). The city itself was not at all the Tuscany-like village I was imagining when thinking of wine country (is this what happens when you're traveling without having done any research at all?). It's actually a pretty big metropolis, with huge buildings and concrete streets and the works. But after a couple days easing into it, I actually quite enjoyed the city itself. Like the rest of Latin America, the main street is great for walking, and there are a plethora of parks and plazas where people are always hanging out. But again, nothing like Tuscany. Nadine had already done a bunch of wineries by the time I got in, so the first day, we headed to some hot springs outside of town with other hostel friends. 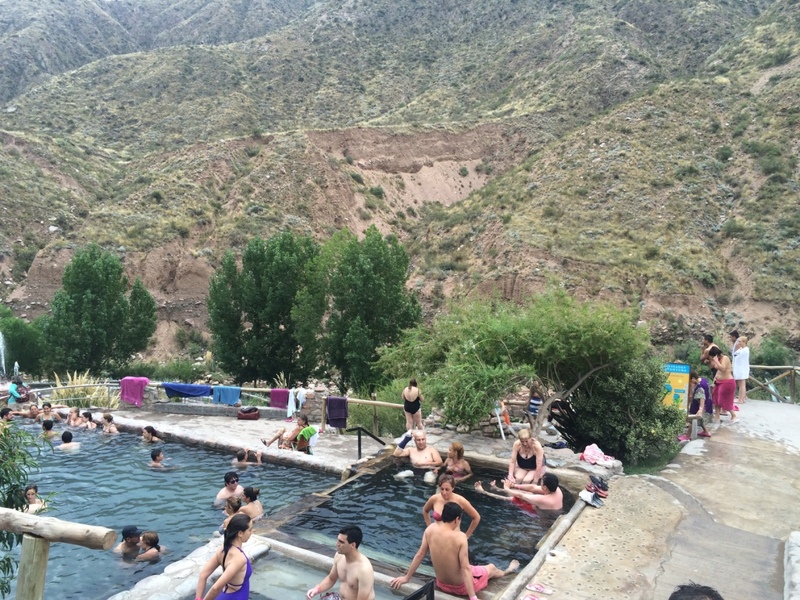 So when someone says "hot springs", do you imagine a more natural setting than a dozen or so concrete pools jammed to the brim with Argentinian couples and families? 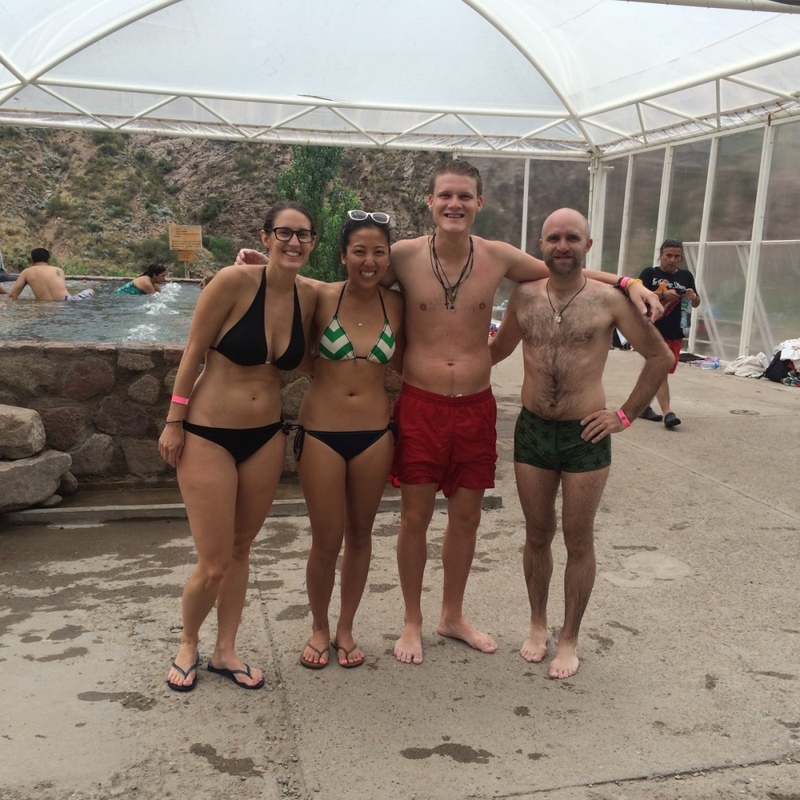 It was actually kind of cool - all the pools were on different levels and were different temps and were surrounded by the valley - but it was a Saturday and there were SO many people. The BBQ area was basically packed to the brim with chattering people and slabs of meat. And children; so many children. Next day, I signed up for a half-day wine tour. So, you know, I could actually see some of the wineries (because these things are NOT easy to get to from the city!). It turns out there were only two of us on the entire tour - me and a middle-aged man from Chile who was only on the tour to take promotional photos for his marketing company. So it was basically a private tour for me, since the other guy was barely listening (and didn't really speak English) and left the tour often to go snap hundreds of photos with his fancy camera. It was awesome, but intimidating. 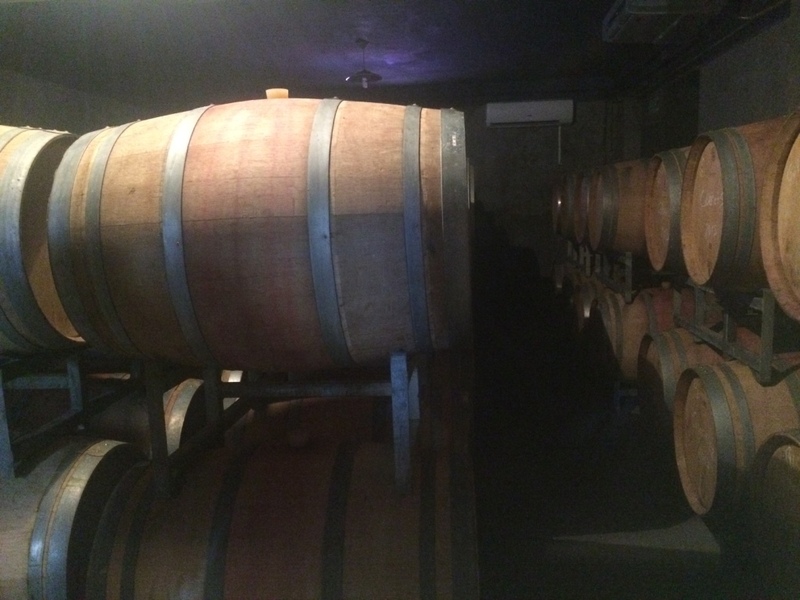 I tried to ask intelligent wine questions, I promise ("And how old did you say these French oak barrels were?"). For as many wine tours as I've taken, I seriously know zilch about wine. 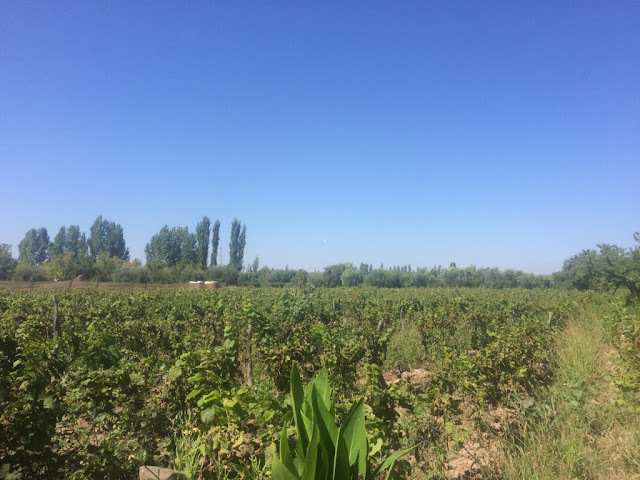 For our tour, we visited the Maipu area for wine - as I said, there's three separate wine regions, which are pretty far apart and pretty distinct. 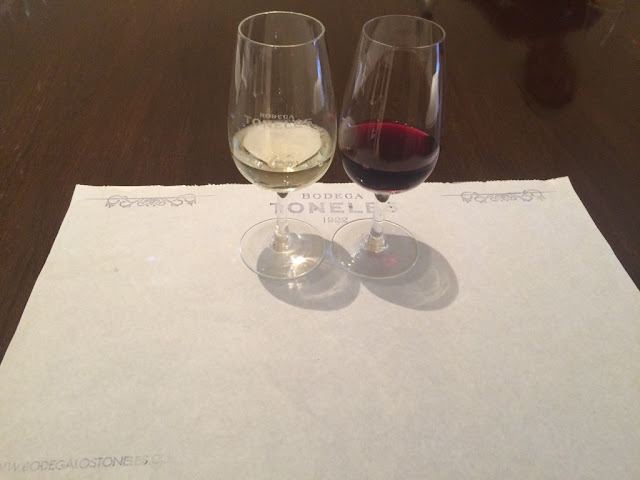 First winery was the Bodega Toneles Winery. According to the guide, this winery was started in 1922, but then closed down. In 2002, an uber-rich family with no previous knowledge of winemaking (but oodles of money) bought it and started producing wines here again. Everything here is gorgeous and state-of-the-art, but it is fairly obvious that whoever bought this just threw shiz-tons of money at it. I was like "How did they learn to make wine?" and the guide was all like "they pay people who know how to make it." I mean, not your typical "loves wine, opened a winery" backstory but can't hate. 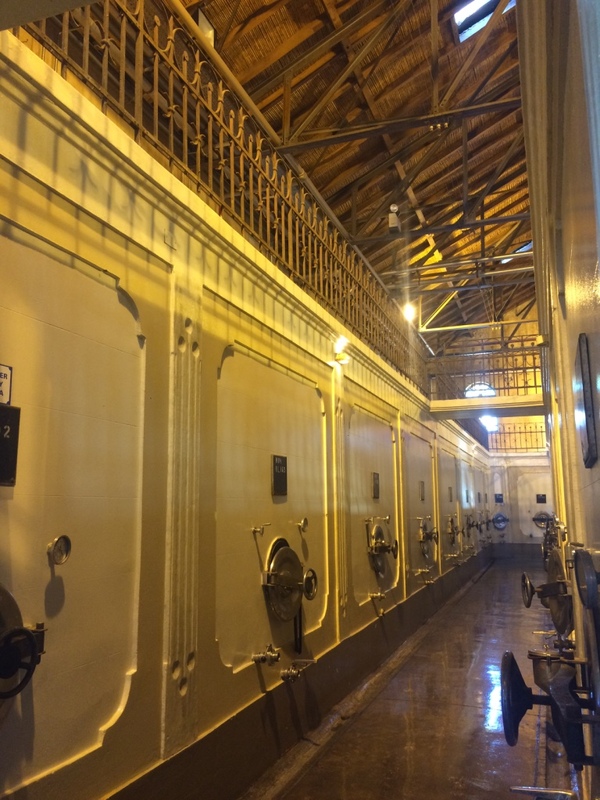 The wine in Mendoza is stored in these traditional concrete tanks. All of these tanks are restored from the super olden days when they were first used. "Do you taste the pepper?? DO YOU?" 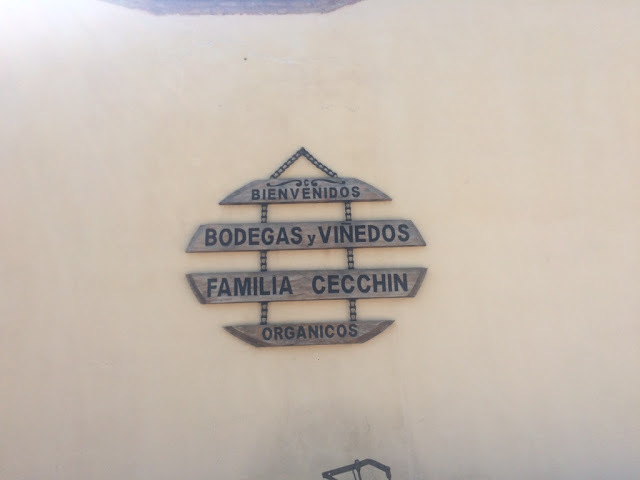 Second winery on the tour was the Cecchin Bodega, which is an all-organic winery. Bodegas y Vinedos Cecchin! Another winery that was purchased and restored, and is now on its 3rd generation in the family. And I think these people actually had an interest in making wine. 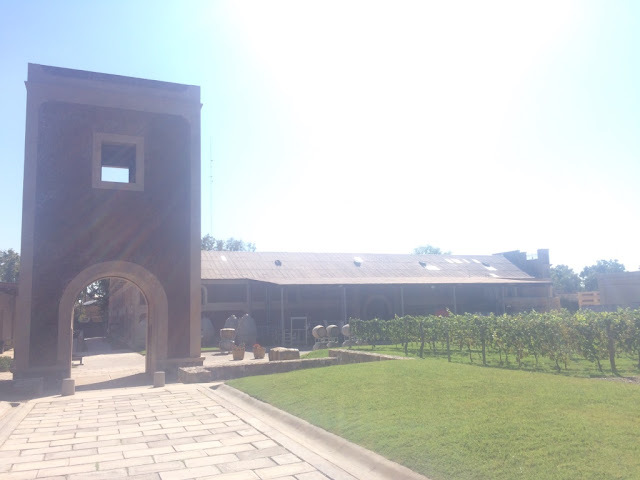 Third stop was Carinae Vinedos, which is a French-owned winery. And at this point, I'd given up taking photos of all the machinery and vineyards. Here are some barrels. You're welcome. This winery had cool wine bottles because the owner is into astronomy, so all the bottles have constellations and stars on the label. So, honestly the wine tour was great, I'm glad I saw them, and the wineries were pretty - but it was no Stellenbosch. Wine always tastes fine to me, so I can only judge on the basis of experience. 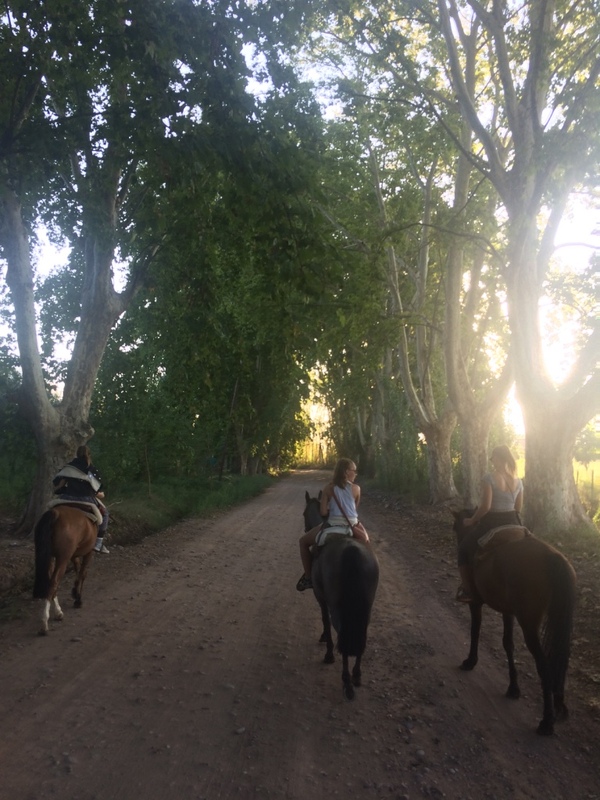 The best part of the tour, to me, was when our tour guide invited us out for drinks with him later that night to show us local Mendoza. The other Chilean guy only showed up for a hot second because he was with his family and had to take the kids home, but I got to hang with the guide one-on-one. His name was Fernando, he was from Mendoza but had lived in Australia for 15 years in between, and he was awesome. He likes to take his guests out because he genuinely just likes meeting people. And the area he took us to was awesome - tons of outdoor bars/restaurants/cafes on a strip with outdoor seating (and everyone there knew him). It was an area of town I never would have found myself, but it was great getting to hang out there with a bunch of locals and Fernando and his friends. My last Mendoza day consisted of exploring more of the city during the day, then doing a sunset horseback riding/unlimited wine tasting/BBQ in the evening. 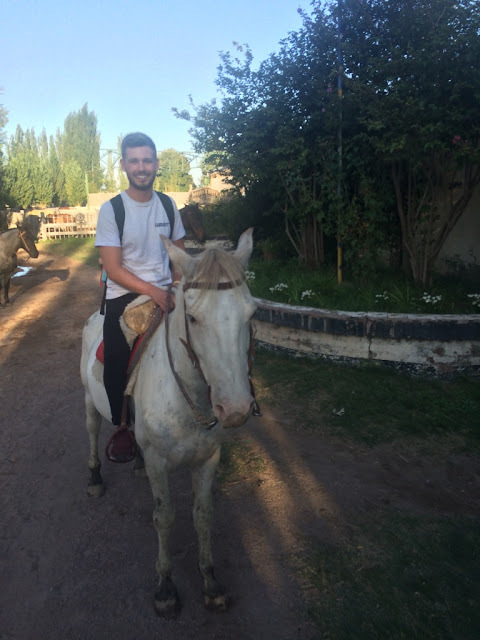 This is Mark (UK), one of my hostel roomies, and his horse - who he named Blanco. So we crossed this stream but we didn't really have to (we seriously crossed it, then crossed back over it 2 seconds later - it was purely for photo purposes, apparently) - and the horses knew it. Blanco basically refused to get in the water at all for awhile. 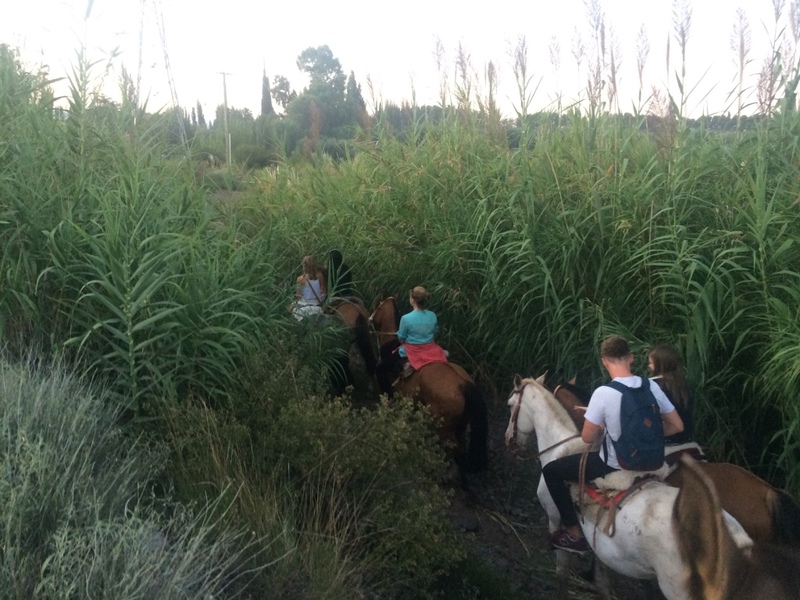 Riding into huge bushes, which my horse kept stopping to eat. And when I pulled him up from there, he basically veered into them and had them whap my face. Thanks, jerk horse. And after our hard work horseback riding (err..the horses' hard work? ), we got unlimited delicious BBQ! And a huuuuge jug o'wine. It was super fun getting to chat with everyone while munching on BBQ and guzzling Malbec. 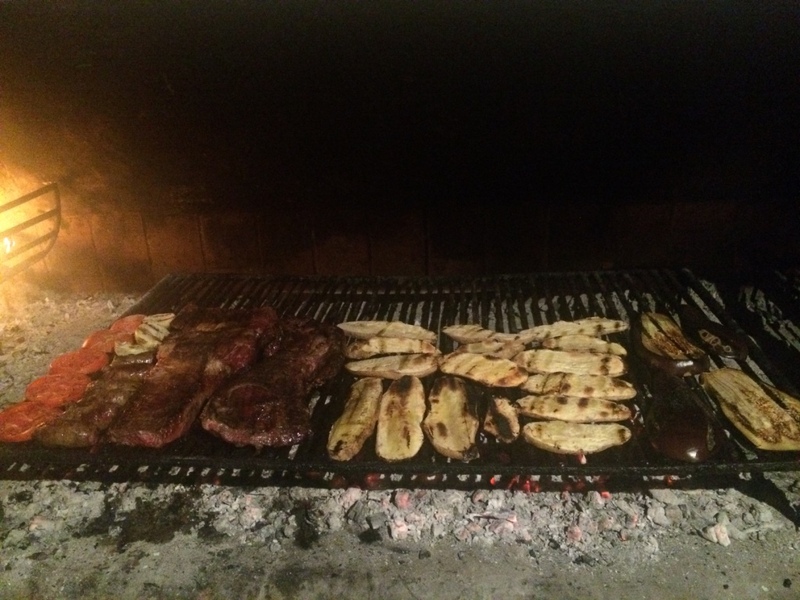 I think I had the same dinner every single night in Mendoza - a giant slab of Argentinian beef. They take their steaks here quite seriously (and they're quite well-known for it), as you usually order the meat á la carte and then add on any sides you want. 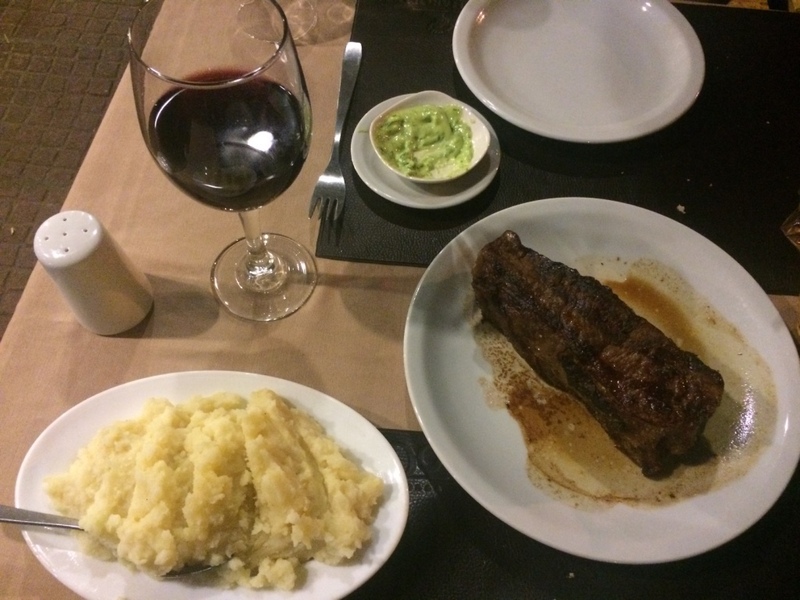 Sadly enough, however, I forgot to take a photo of the best Argentinian steak I tried - so I took a photo the next night of this steak which was also pretty ok (but a little dry), but also slightly sub-par visually. I don't know why the steak juice looks so unappetizing. Malbec is the wine of Mendoza, or the wine that the region is home to. Wine tastings in Mendoza are more equivalent to what they are at home - about 100 pesos (or $7-8), and 500 pesos if you include lunch. Some of the wineries do really nice lunches, and there are some that were recommended to me where the winery is apparently gorgeous and the wine/lunch is delicious - I just didn't have time (or the heart) to haul myself out to them on my last day. 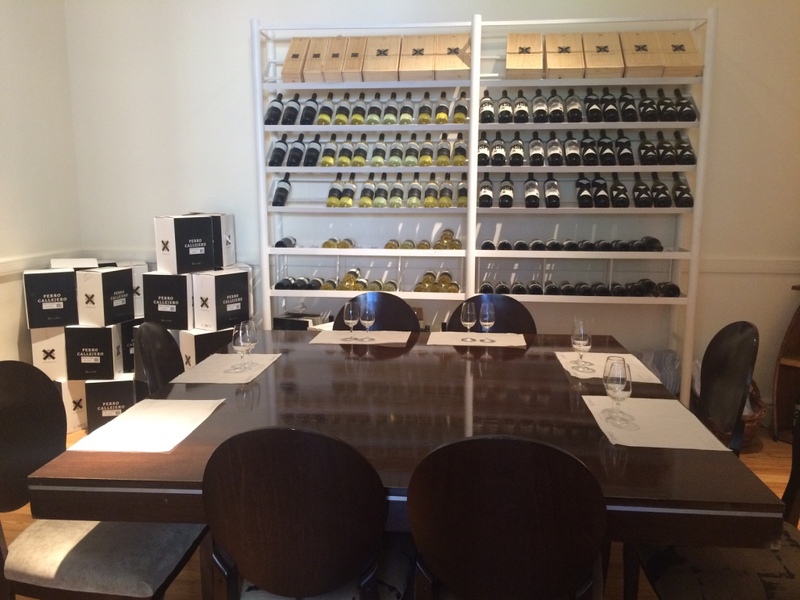 But in case anyone is here looking for some winery recs, they are Bodega Salentein and Ojo de Agua. Mosquitoes are back. 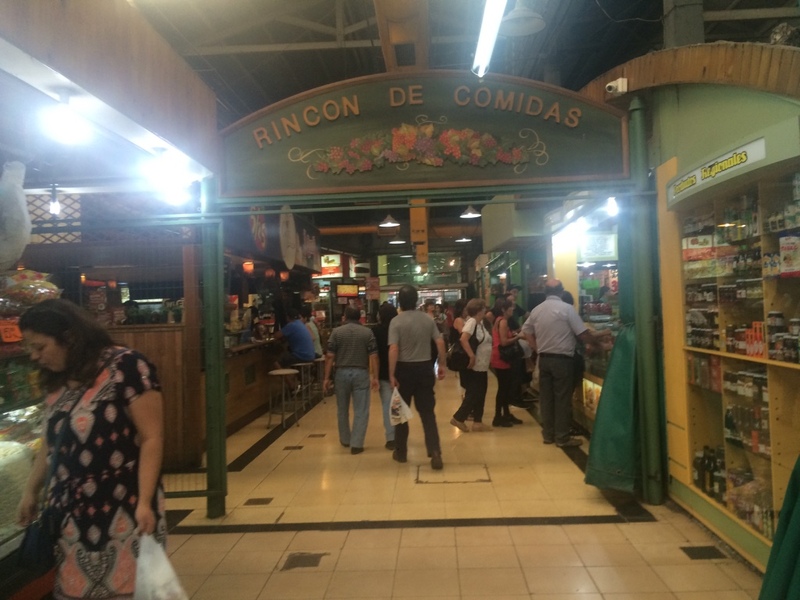 I got eaten alive in Mendoza. this is great! some good tips for us when we go there. Are you heading to Salta? Yes, you will definitely enjoy wine country! When are you headed there?? I am skipping Salta (am heading North up through Chile instead of Argentina), but I've heard it's really great! Ugh i know!! 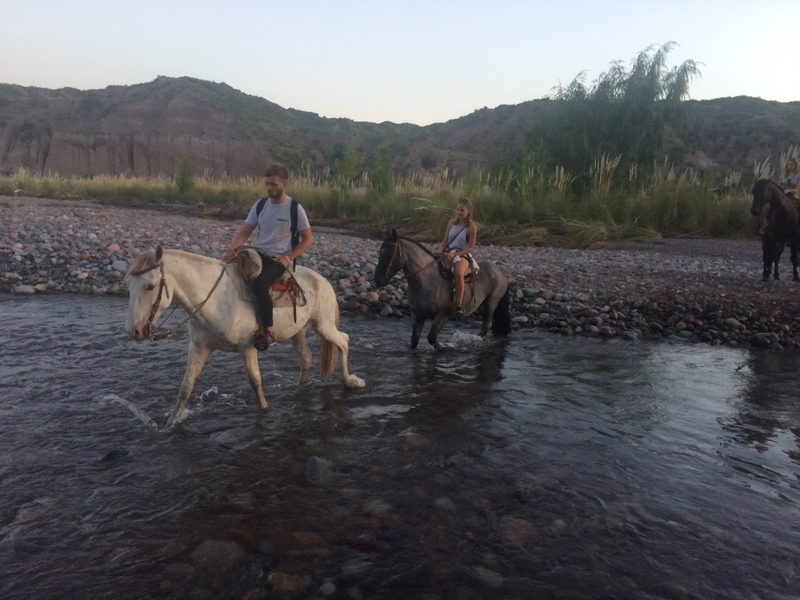 We are here for 6 days, then salta for another 5 and a couple of villages just north of Salta. After that it's bolivia, peru, ecuador and colombia! I hope we meet somewhere! !